(a) Every planet has the power to influence the affairs of every other planet or house. Thus for example, even if a planet has nothing to do with the second house by way of ownership, aspect, conjunction etc, it does not mean that the person shall stop eating food during the daśā of the said planet. There are five principal elements or states of existence of all material bodies called TATTVA. These are (1) the Solid state called Pṛthvi or Earth, (2) the Liquid state called Jala or Water, the Gaseous state called Vāyu, the Vacuum state called Ākāśa or the Energy state called Agni. Each sign is assigned one of the four principle elements of Agni (loosely called Fire), Vāyu (loosely called Air), Pṛthvi (loosely called Earth), and Jala (loosely called Water). Of late I have found some of my new students to make blunders which none of my older students would ever do. It is something very basic, very foundational. 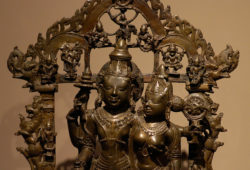 It is the scope of vedic astrology – vedāñga jyotiṣa. 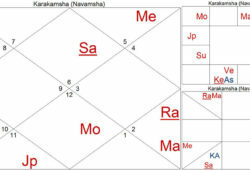 While everyone quotes Ādi Śaṅkara in stating that vedic astrology is as vast as the ocean and one lifetime is not sufficient to master every aspect of it, we need to articulate this in a scientific manner and define the scope. Dvādasa Āditya- The twelve Sun Signs: For one reason or the other, whether it be the conquest of the Normans or the birth of Christ, the starting date of the year has been varying as calendars come and go. In the scheme of Vedic astrology, the solar calendar consists of twelve houses of 30 degrees each covering the total span of 360 degrees. These are called the twelve Sun Signs (dvādasa āditya). Om: Nārāyaṇa is beyond (much above) the unmanifest. The brahmāṇḍa (cosmic egg) evolves from the unmanifest. The brahmāṇḍa contains all the worlds including this earth with its seven islands. This prayer of Ādi Saṅkara has been taken from a smriti and gives the ultimate objective of every birth in this world at least. sarva- whole, entire, all every; vārtta- having means of subsistence, practising any business or profession, karma; adhikāra-m. authority, government, rule, administration, jurisdiction; ca-and; bandha-m. binding, tying, fetter, arrest, imprisonment; kṛntana-n. cutting, cutting off, dividing; mokṛa-m.
One of the important principles of our tradition is to treat the Kārakāṁśa as Aries and examine the planets in the houses from it. Reason being that the ātmakāraka is akin to the jīvātmā (or jaḍātmā in the case of inanimate beings) which is similar to the Paramātma in its basic nature but lacks the purity and energy of the latter. In a sense, the creature is like the creator, in almost every respect. The ātmā is a spark of light symbolized by agni tattva and the Sun as the naisargika ātmakāraka. South African-British athlete called the world’s fastest woman. A wisp of a girl at 5’2″ and 83 pounds, she proved herself a distance runner of world-class when she broke Mary Decker’s record. However, the Moon is in Aśleṣā nakṣatra at 23°21’ in the 3rd pada. This is not Abhukta portion (last 0°50’) of the nakṣatra and danger to life may not exist. However, for a female nativity, this shows “Danger to Father, Patri-lineage” besides danger to “female in-laws”. Zola Budd became long estranged with her father who was later murdered.